Translation: How to knockout conversion rate optimization for return on advertising spend of product listing ads. It’s no secret that e-commerce is a multi-billion-dollar industry. 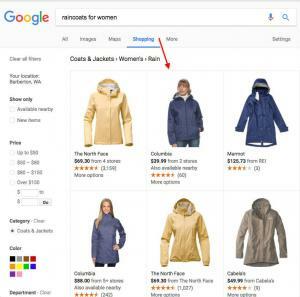 One of the key components that makes e-commerce so successful is the way products are triggered and displayed on search engines, specifically Google. When you search for a product Google will display ads both in the right panel of the page, as well as within the ‘Shopping’ tab. 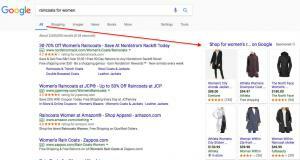 According to Search Engine Land, Google Product Listing Ads (PLAs) account for nearly 50% of all retailers’ Google search ads and 70% of non-brand clicks. Other studies have even shown that conversion rates for PLAs are 26% higher than general text ads and their cost per click (CPC) is 23% lower. Overall revenue from Product Listing Ads grew 52% year-over-year by the first quarter of 2016. With the continuing rise of mobile use these numbers are only climbing. If you’re selling a product online it’s worth learning what it takes to set up PLAs. However, there’s going to be a learning curve if you’re not already familiar with Google Merchant Accounts. Unlike generic text ad campaigns, PLAs don’t rely on keywords to trigger the ad. Instead, Google will decide what to show based on the product feeds you’ve submitted, which can be very time-consuming. In fact, there’s a whole new set of best practices to learn before jumping into PLAs. To make things easy, we’ve compiled a list of the best resources to guide you through the setup process. Step by step. Once you’re comfortable with the general setup and feed creation processes you can start thinking about optimizing the ads for greater returns. Give your product a FULL name and description, use the full character count to maximize your ad’s real estate and shopper appeal. When it comes to SEO, this is a critical factor in optimizing placement. Just like SEO for a website would use keywords in the title tag and URL, or SEO for a video would use keywords in the video title and description, THIS is where you want to maximize keyword value for products. Notice the differences between the products below. The ad on the right if far more eye-grabbing! Consistently uploading the data feed to Google, on a daily basis, is going to ensure accuracy and relevance of your ad placements. The daily activity of uploading the feed also sends a strong message to Google that the merchant is providing frequent and reliable data about their products (which ultimately will help boost impression share). You can relax, as tedious as this sounds it can actually be automated where Google will pull the data feed on its own through the Google Merchant Center. While product ads are not triggered because of keywords entered, they do adhere to negative keywords. Using these are critical to keep from overspending ad budget on irrelevant searchers. 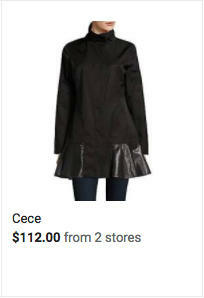 For example, when I’m selling women’s coats I add negative terms for [-mens], [-male], [-kids], [-children], etc. If these terms are included in the search term Google will know NOT to display my product. When products appear with star ratings below the product they draw a lot more attention. 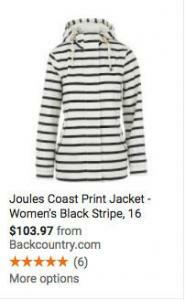 Look at the women’s coat example above. The image on the right immediately captures your attention over the image on the left. Get those stars! For a PLA to display ratings or reviews you’ll need to have at least three reviews for a single product and 50 reviews among all products. Once eligible, ratings and reviews will be aggregated from many sources including your website and various third-party review sites such as Trustpilot, Yotpo, Verified Reviews, etc. It’s rare that a customer will go out of their way to leave a positive review so it’s important to make the process as easy as possible. Consider generating a direct link that takes the user straight to your Google review page. Include this link in the online receipt and any follow-up emails to the customer. 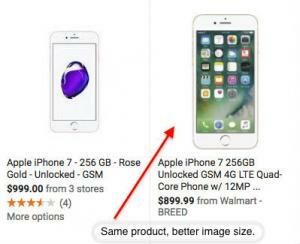 Images and photos are the most important visual element of your Product Listing Ad. Consider the impact from the point-of-view of the buyer. Is it better to use a stock image, or a custom photo? Show the product from the front, or the side? Show the entire product, or a close-up of the key features? These are questions you need to ask yourself before submitting your product image. Using proper image sizes is the most important thing to remember. If you upload an image that is too big, or not cropped to the PLA requirements the product will be cut off, or shrunken to an unattractive level. Follow the AdWords image size specifications found here. This should be your most important metric. Make sure you record what your current ROAS is before you implement these optimization tips so you have something to compare to. In a nutshell, you take your revenue and divide it by the cost of the ads. For example, if you earn $100 in sales and spent $25 on ads the revenue / cost is 4. That’s a 400% return. It’s up to you to decide if 400% is adequate. If your margins are 30%-40% then it probably is, but if margins are closer to 20% than likely not. PLA optimization can be tricky since a/b and split testing are not possible on the native platform. Practical CRO tactics might not work, especially as you get more advanced with your listing methods. To make this easier, we’ve compiled a list of some the top resources available for advanced optimization strategies to get the most out of your Product Listing Ads. DataFeedWatch.com: How to set up dynamic re-pricing within the data feeds. CPCstrategy.com: Pro tips for getting more detailed with product descriptions (and character counts). Lengow: An automated a/b and split testing tool for Google Product Listing Ads. Super useful since it isn’t possible using the native Google Merchant platform. Search Engine Land: Advanced methods of optimizing product titles by using feed management tools to automatically pull optimized titles through an API. Your website should be a 24/7 sales machine. We'll make sure leads don't fall through the cracks. Just take a look at some of our e-commerce projects.